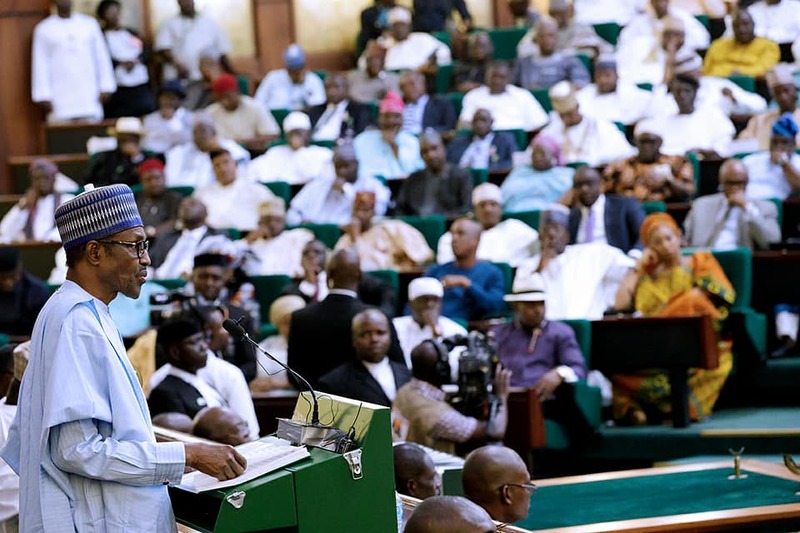 The Senate on Tuesday approved the transmission of Bill restricting tenure of president of the country and governors, and 11 other bills to President Muhammadu Buhari for assent. The approval followed a motion by the Deputy President of the Senate, Sen. Ike Ekweremadu and 49 others. Presenting the motion at plenary, Leader of the Senate, Ahmed Lawan, said the bills when assented to, would enable institutions of government to prepare for immediate implementation of policies and programmes. The National Assembly had in the course of the Constitution amendment process, adopted the bill on restriction of tenure of president and governor. The bill seeks to ban anyone who succeeds a president or a governor and completes the tenure of such president or governor from contesting for that same office more than once. Presenting the motion, Lawan listed other bills that had been approved for transmission to the president. “The following Constitution Alteration Bills have satisfied the provisions of Section 9(2) of the Constitution for their passage: Constitution (Fourth Alteration) Bill No. 2 (Authorisation of Expenditure in absence of Appropriation). “Others are Constitution (Fourth Alteration) Bill No. 4 (Financial Autonomy of State Legislators), Constitution (Fourth Alteration) Bill No. 8 (The Legislature) and Constitution (Fourth Alteration) Bill No. 9 (Political Parties and Electoral Matters). “There are the Constitution (Fourth Alteration) Bill No. 15 (The Nigeria Police Force), Constitution (Fourth Alteration), Bill No. 16 (Restriction of Tenure of President and Governor); Constitution (Fourth Alteration) Bill No. 20 (Submission from the Judiciary). “Others are Constitution (Fourth Alteration) Bill No. 21(Determination of Pre-Election Matters), Constitution (Fourth Alteration) Bill No. 22 (Consequential Amendment on Civil Defence); Constitution (Fourth Alteration) Bill No. 24 (Procedure for Overriding Presidential Veto in Constitution Alteration). “Also approved are Constitution (Fourth Alteration) Bill No. 27(Reduction of Age for Election) and Constitution (Fourth Alteration) Bill No. 28(Timeline for Presentation of Appropriation Bill),’’ he said. The leader of the senate stressed that, while the national assembly awaited resolution of states’ Houses of Assembly on other bills, it felt it was necessary for the ones already passed to be assented to. He said that 33 bills seeking to alter constitutional provisions were presented in the two chambers of the national assembly on July 26, 2017 and July 27, 2017. He added that Senate approved 17 of the bills without difference and were transmitted to the houses of assembly for their resolution. Lawan disclosed that four bills were approved with amendment and had been committed to a Conference Committee for further action in line with the Senate and House of Representatives rules. “While the Senate approved 29 of the bills with the required two-third majority of members, the House of Representatives approved 21 of the bills with not less than-two third majority. “The two houses approved 17 of the bills without difference and were transmitted to the state houses of assembly for their resolution. “Meanwhile, four were approved with amendment and have been committed to a Conference Committee for further action in line with the Senate and House of Representatives rules. “So far, 35 states’ houses of assembly have forwarded their resolutions on most of the bills,’’ he said.